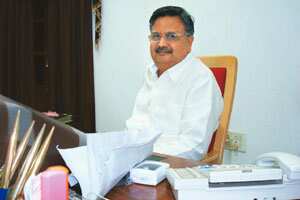 New Delhi: A delayed and deficient monsoon has forced Chhattisgarh to reduce land under rice cultivation by 1 million ha. While the reduction may not affect the state’s food schemes and supplies, it may be forced to cut its contribution to the Central pool, Chhattisgarh chief minister Raman Singh said on Tuesday. That could, in turn, affect foodgrain procurement for the government-subsidized public distribution system. In Chhattisgarh, 10 districts and more than 30 tehsils (sub-districts) have got 50% less rainfall this year and the water level (of) reservoirs is just 25% of total capacity. Due to the delayed monsoon, we have not been able to sow paddy in 10 lakh hectares. The state’s domestic supply and our food programme will not be affected by the reduction in rice production. We need just 12 lakh tonnes (of) rice. However, we are one of the major contributors to the Central pool of rice. We provide rice to six or seven states. Does it mean that the drought will not affect the state’s economy? We have been doing fairly well even while other parts of the country and the world faced (a) financial crisis. We generate power, produce steel and cement, and the state has been doing pretty well in agriculture, too. It is a good scheme. The check dams, percolation dams and other small constructions will help to reduce its (drought’s) impact. But I think we can increase the number of working days from 100 to 180 or so. When there is no crop, we can engage the people in more such works. But a major chunk of your budget goes for fighting Naxalites. Yes, in 2000, the budget for the police department was Rs248 crore and this financial year it is Rs916 crore. The number of police personnel has also been doubled from 22,592 (in 2000) to 46,425. Yet, if the monsoon is picking up in the next few days, our economy will improve. You have raised a demand to categorize Naxal violence as a national disaster. What was the Union government’s response? We said it is a man-made calamity and the state has been giving support/relief for 300 villages. We will reiterate our demand at our one-to-one meeting with the Prime Minister as well as with the home minister. I am sure they will understand. Concerns were also expressed over the incomplete infrastructure projects in the state, especially the areas worst affected by Naxalite violence. The BRO (Border Roads Organisation) could complete the construction of just 72km of the total 140km of the National Highway 16 in eight years. But the BRO is expected to complete it by 2010. What I suggest is that the Centre should develop a new dedicated force, like the engineering corps in the Army, to construct roads, bridges and culverts in the sensitive areas. There should also be additional support for the BRO and the PWD (public works department). Are you satisfied with the Union government’s initiatives in combating Naxalite violence? Yes, I am. For the first time in the last five-and-a-half years (since the Congress-led United Progressive Alliance (UPA) came to power at the Centre), I am satisfied. I feel that they are serious about it now. The UPA government has entered a free trade agreement with the Association of Southeast Asian Nations (Asean). Some states have expressed concerns about the impact of the pact on the domestic farmers. What is your view on it? The agreement with Asean will not only affect the agriculture sector, but also the small-scale manufacturers of this country. How can you open your market to other countries without bringing in uniformity in the manufacturing sector? ...We will have to fight against it.